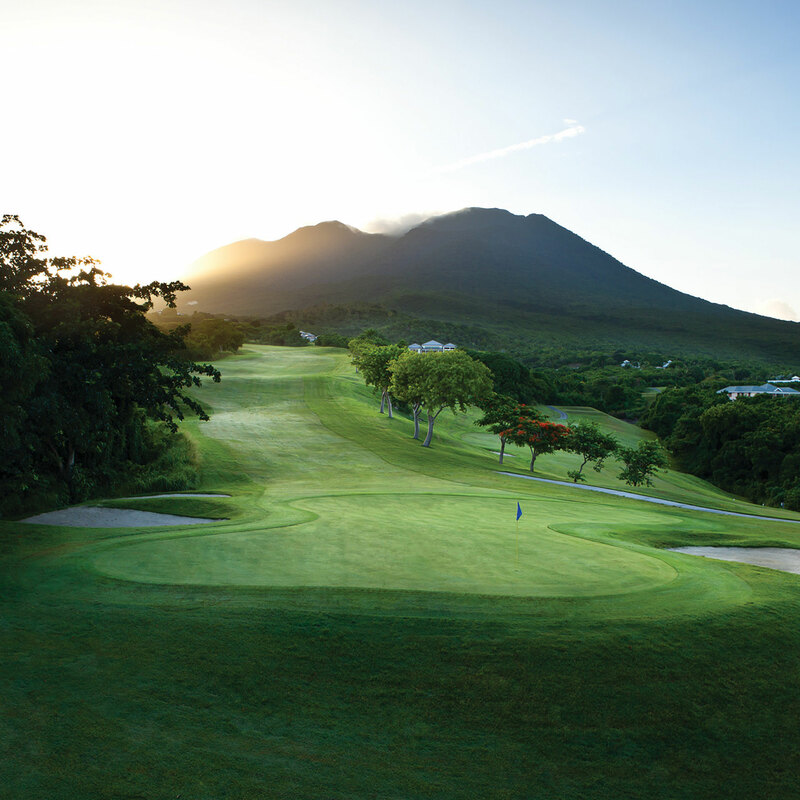 Four Seasons Resort Nevis is a laid-back Caribbean island escape, delivering guests five-star service, facilities and unique experiences in a spectacular location, watched over by the awe-inspiring Mount Nevis. 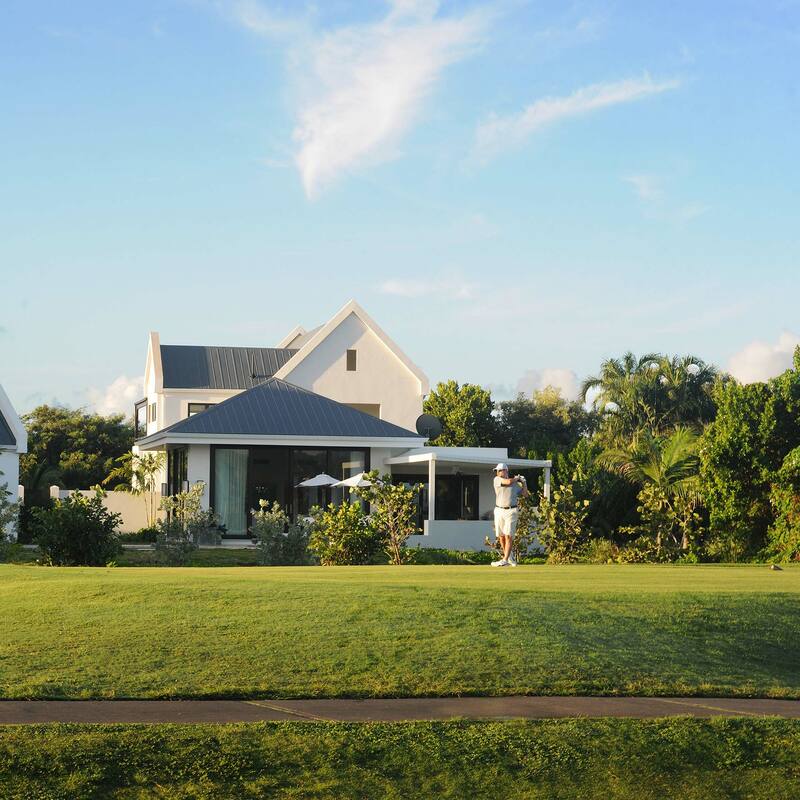 Positioned carefully within the resort are a number of existing Four Season Resort Estate villas, and new real estate and plot development opportunities. 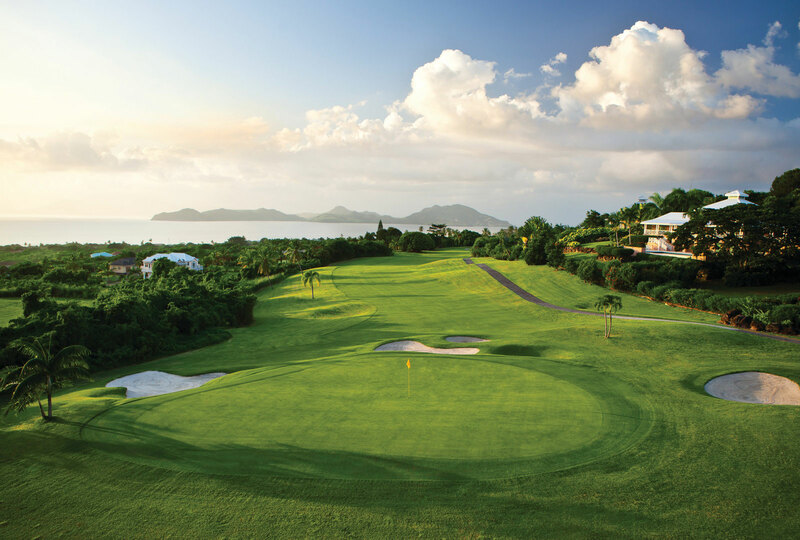 Following the success of our Poinciana Estates and Pinney’s Beach websites for Four Seasons Nevis, we were asked to look at how we could bring together all real estate offers at the resort. With existing villas coming onto the market and development plots available through Poinciana Estates and Pinney’s Beach offering fractional ownership opportunities, the challenge was to bring these distinctly different offers together, comfortably under one roof. 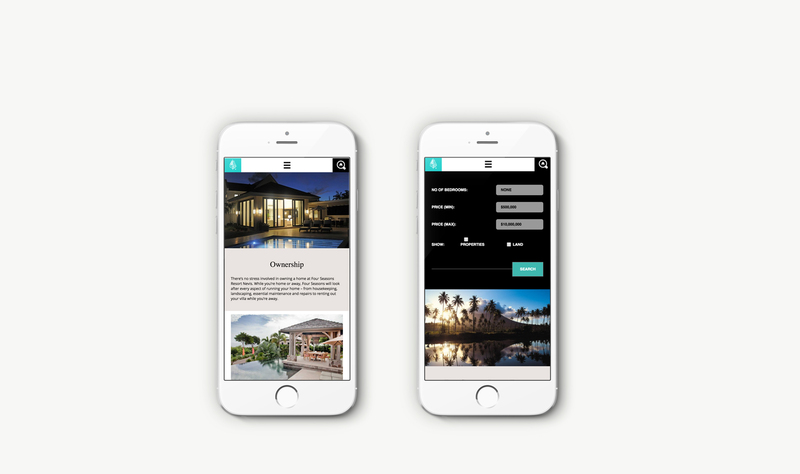 Understanding user journeys through the new real estate portal was key, ensuring easy access to the different real estate and development offers at Four Seasons Nevis. 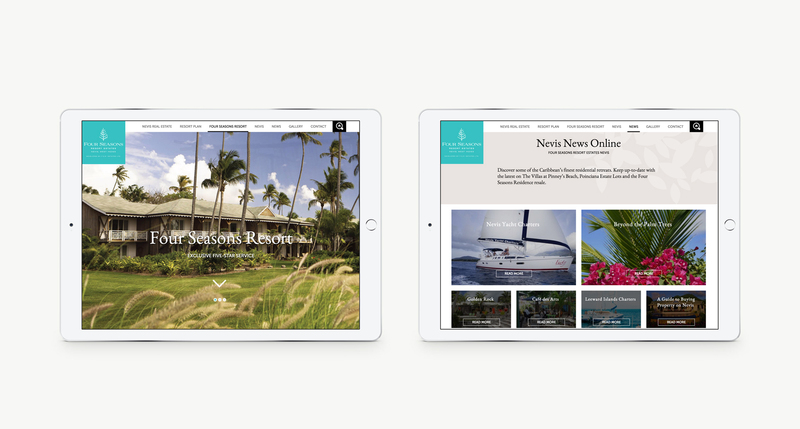 We created a fully content managed website, incorporating property compare and interactive resort map features to provide users with tools to make their decision making process easier, leaving people in no doubt that Four Seasons Nevis is a wonderful place to call home. Since launch, we have supported the website with search marketing that includes ongoing optimisation, re-marketing, content creation and distribution, as well as pay-per-click advertising.